Situated on the slopes of the Helderberg Mountain, in the heart of South Africa’s most famous wine region Stellenbosch, our vineyards are commonly referred to as the Home of Chenin Blanc and other premium award-winning wines. Over the years our range of top quality wines has received massive national and international acclaim with literally hundreds of awards and accolades. Our wines are broadly available in reputable restaurants and exported around the globe. Ken Forrester’s philosophy has always been to create a range of handcrafted, individually made wines that suitably complement a wide variety of food styles and provide excellent value. 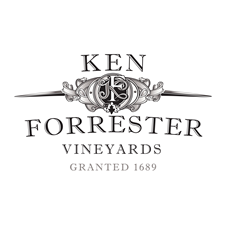 Download the Ken Forrester Wines APP available from AppStore, Google play or Windows Phone Store or scan QR code to download.